Global March to Jerusalem, scheduled for this Friday, March 30, is an anti-Israel publicity stunt that aims to have a million people marching on Israel’s borders from surrounding countries – Lebanon, Syria, Jordan and Egypt – with the aim of reaching Jerusalem. Concurrently, demonstrations are planned against Israel’s diplomatic missions in major cities throughout the world. Advisory board members include George Galloway, Mahathir Mohammed and Sheikh Raed Salah. In practice, the right of return is subterfuge for the destruction of Israel as the nation-state of the Jewish people. Coupled with that, employment of the term “Judaization of Jerusalem” is hateful rhetoric designed to negate thousands of years of Jewish history and incite the Muslim world. Combined with the terror groups behind GMJ and the rallying cry of “saving Al Aqsa (Jerusalem) from the Jews”, it seems likely that sufficient numbers the organizers will seek violent confrontation with Israeli forces with the aim of sparking another Intifada. 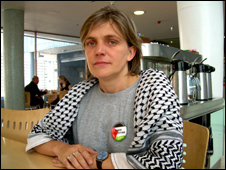 The Guardian, undeterred by such quotidian concerns as the possibly deadly results of such a terrorist provocation on Israel’s borders, provided a platform to Palestinian Solidarity Campaign’s Sarah Colborne, “Jerusalem is at the heart of the Palestinian struggle“, CiF, March 27. Sarah Colborne is both a member of the GMJ International Executive Committee, its International Central Committee, and is also the GMJ national co-ordinator for the UK. So, far from being driven out of Jerusalem, the Muslim population of the city has increased roughly 5 fold, while the Jewish population has increased roughly by a factor of 2.8. So, the Muslim population has grown dramatically faster than the Jewish population. Obviously, there is nothing resembling ethnic cleansing in Jerusalem. Such a moral inversion, suggesting that religious life in Jerusalem for Palestinians is increasingly restricted, represents the nadir of anti-Zionist propaganda. Jerusalem, since 1967 – in stark contrast to Jordanian control of the city from 1949 to 1967, when Jews were forbidden from visiting Judaism’s most holy sites – has never been more free for citizens of all faiths to worship. 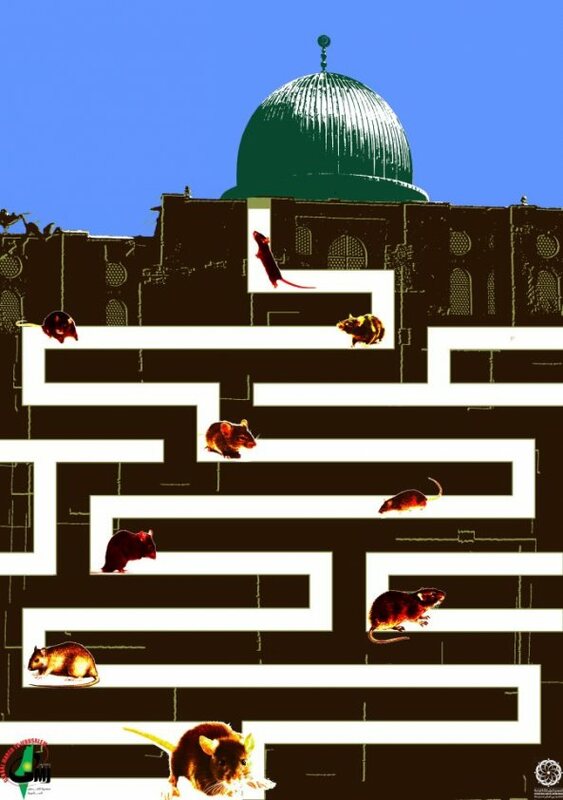 Muslim rights on the Temple Mount, the site of the Dome of the Rock and the Al-Aksa Mosque, have not been infringed, and the holy places are actually under the supervision of the Muslim Waqf. Although it is Judaism’s holiest site, Israel has left the Temple Mount itself under the control of Muslim religious authorities. As our research has demonstrated (which can be seen at our site, Exposing the truth about the Global March to Jerusalem), this coalition is led by members of proscribed Islamist terror organizations with backing from the Iranian regime. Here are the real goals of GMJ, contrary to Colborne’s supremely dishonest polemic at ‘Comment is Free’. Destroying the “Zionist edifice”: Some idea of the mindset of the event’s organizers can be gleaned from statements made in the following e-mail exchange between two of them regarding a previous identical project. “Imagine a situation where we have more than a million people streaming in from four borders & Israel fails to stop the human tide…next time we will have 5 million who will be marching…This is exactly the nightmare situation for Israel…Thus will undermine the Israeli state, like no other strategy & then it will all begin to unravel & the Zionist edifice which is unraveling as we speak, will soon fall. Rejection of a two-state solution, seeking the elimination of Israel from the “river to the sea”. GMJ promotional material refers to the 1948 occupation and supports the so-called “right of return” of Palestinian refugees, both euphemisms for the destruction of the State of Israel. Finally, equally as absurd as characterizing the GMJ as an endeavor consistent with peace, liberalism and human rights is the suggestion that Colborne embodies anything resembling such progressive values. Her organization, PSC, has demonstrated, at best, a tepid approach to Holocaust denial and racism among its members. And, Colborne has shared a platform with the homophobic and racist leader of the Northern Islamic Movement Raed Salah, and leapt to his defence when he was apprehended by the British authorities. Colborne and Salah also sailed together on the ‘Mavi Marmara’ in 2010 as part of the ‘Freedom flotilla’, during which Islamist incitement to violence was documented in , in which Salah can be seen in the first row, wearing a white skull-cap. The Guardian’s decision to provide a platform to the organizer of a violent provocation – an organized act of incitement – led by terrorists with the explicit aim of destroying Israel represents a further erosion of the media group’s increasingly absurd veneer of liberalism. The Islamists, terrorists, and their apologists who have planned and are behind the March to Jerusalem can only be described politically (based on their broader ideological orientation) as representing the antisemitic extreme right. As such, Guardian Left politics is increasingly defined by this tendency to allow nearly anyone willing to mouth platitudes about “Palestinian rights” moral impunity for their reactionary, malign, racist agendas. I wonder how many Arabs will be injured or killed during this pr exercise, organised by the likes of the PSC and assorted so-called Palestinian supporters? Colborne and the PSC are really not interested in the welfare of the Palestinians but far more in the destruction of Israel. How long before the Palestinians wake up and realise that the PSC and organisations like it, are not their friends? Glodal March on Jerusalem reminds me of the Peasant’s Crusade, with Sarah Colbourne taking the role of Peter the Hermit in her quest to liberate the ‘Holy Land’ from the Jewish usurpers. Funny how ‘progressive’ thinkers and their idea of righteousness and redemption emulates the Medieval mindset of their Jew-hating ancestors. you know what! let them walk and walk also talk, you know they love too talk. i think this will mess them up Big time. hear me out , by having this (Walk) will show more people around the world ( you know it will be on every tv network) how much Hate their is for Jews and Christians. they think people around world will be like “awww! look at this marchers and there cause”. No. not really,some people around world will be like,” thats alot of angry people”. people that don’t like Jews don’t like Christians. i think that will mess them up because everyone will see the massive of amount Haters at one time. Given the anti semitism which the PSC has engaged in, no decent newspaper would give them a platform. It speaks volumes that the Guardian allows the director of this racist organization to write for them. I simply don’t understand how anyone can continue to support the “Palestinian” cause after what happened last week. Were it me, I would have burnt my keffiyah in disgust and got on with my life. Evidently Sarah Colborne and her Jew-hating ilk feel emboldened now that their Jihadi foot soldiers are going about silencing voices that can’t be silenced with reason or truth. I hope there is a special place in hell for such treacherous, terrorist supporting scum. It is precisely because Jerusalem was a desolate sparsely inhabited city for so many centuries following the Roman expulsion of the Jews that it’s mythical significance for Christians grew. Jerusalem is embodied in the English Christian hymn urging the rebuilding of Jerusalem on “England’s green and pleasant land”. Obviously the idea of rebuilding Jerusalem in Jerusalem, by Jews, goes against the grain for some Christians in Manchester. Try Iraq and Saudi Arabia for example! Don’t try to confuse these people with truth however. Thanks. The comment you referred to has now been deleted.